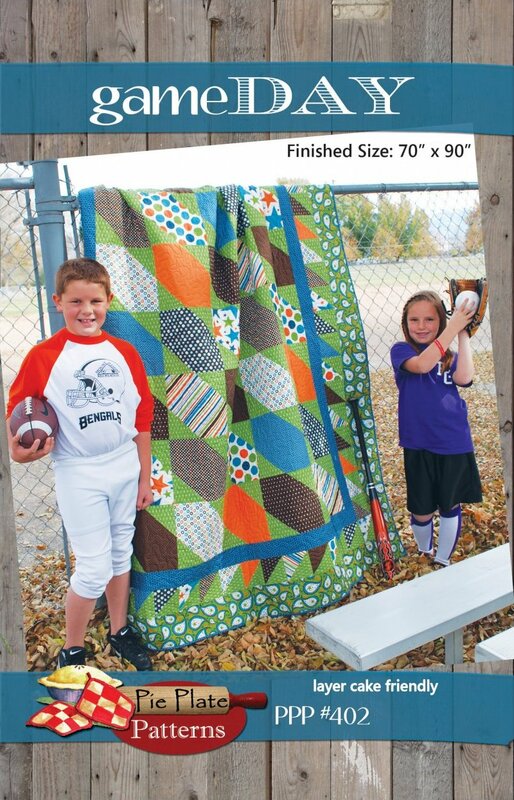 Have you been looking for a "boy" pattern? 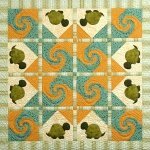 Well, here is the perfect pattern for you. 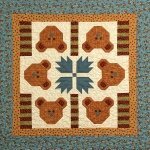 Hearts, hearts and more hearts! 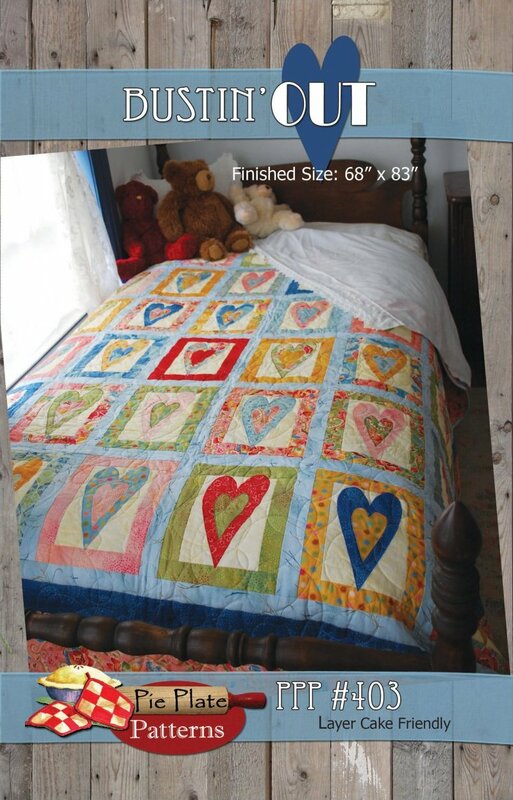 I love quilts with hearts! 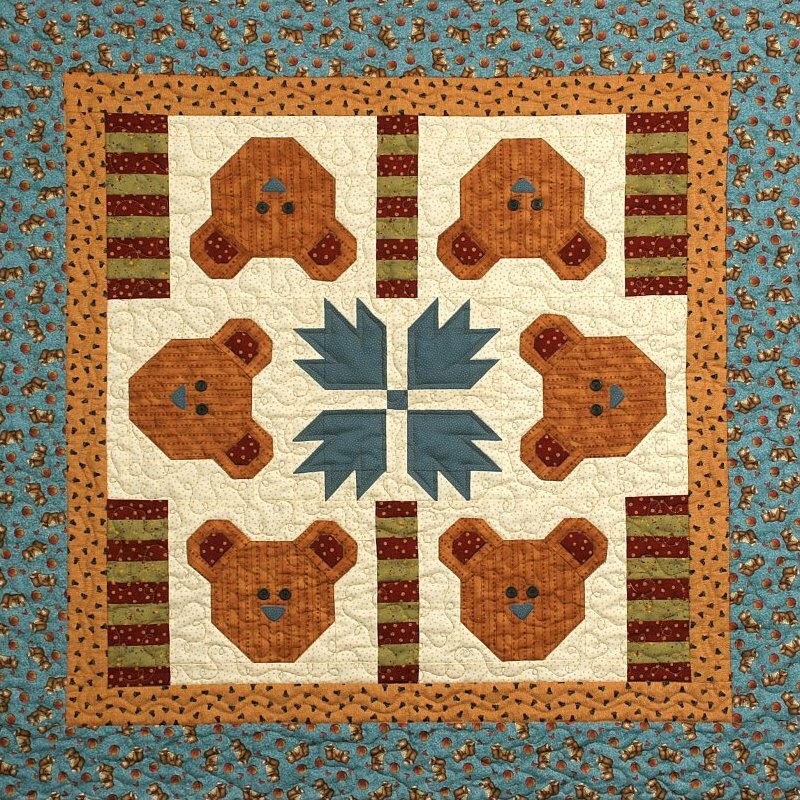 This baby quilt was designed to showcase all of the adorable fabrics that are on the market today. Fun, fun, fun! 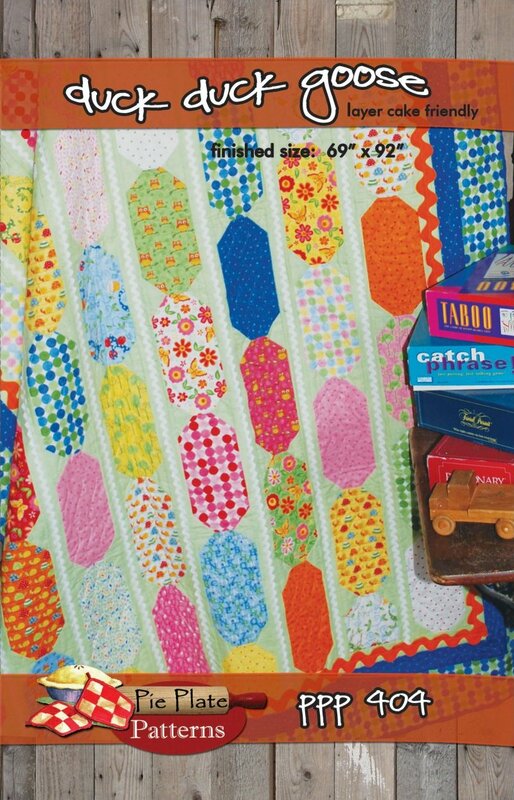 If you remember playing this fun kids' game, then you'll want to make this quilt for sure. 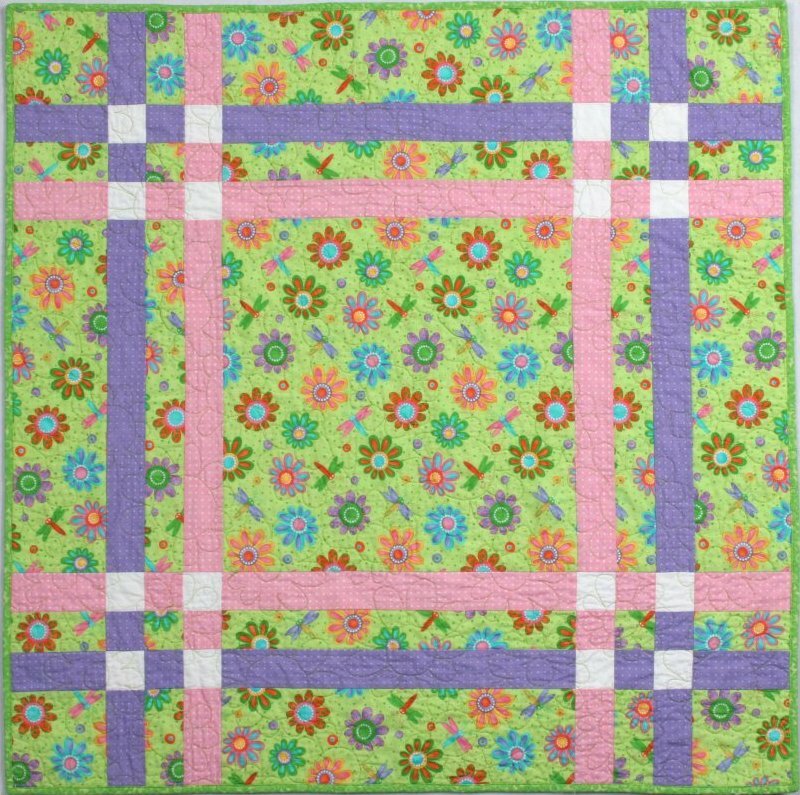 The youngest daughter in our family is nicknamed Flossie, so this pattern is named after her. 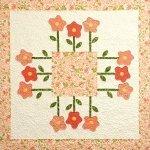 Must be four o'clock, because these flowers are just beginning to open up. Talk about fast! 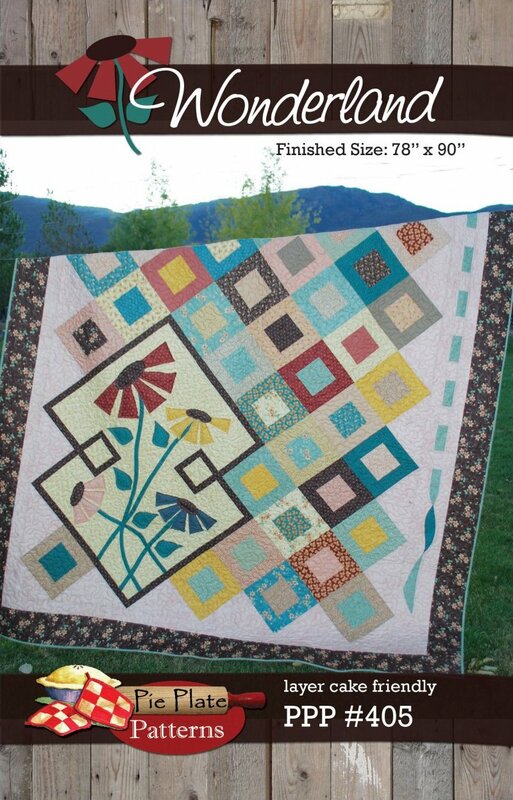 The blocks on this quilt are large and the pattern is so easy. 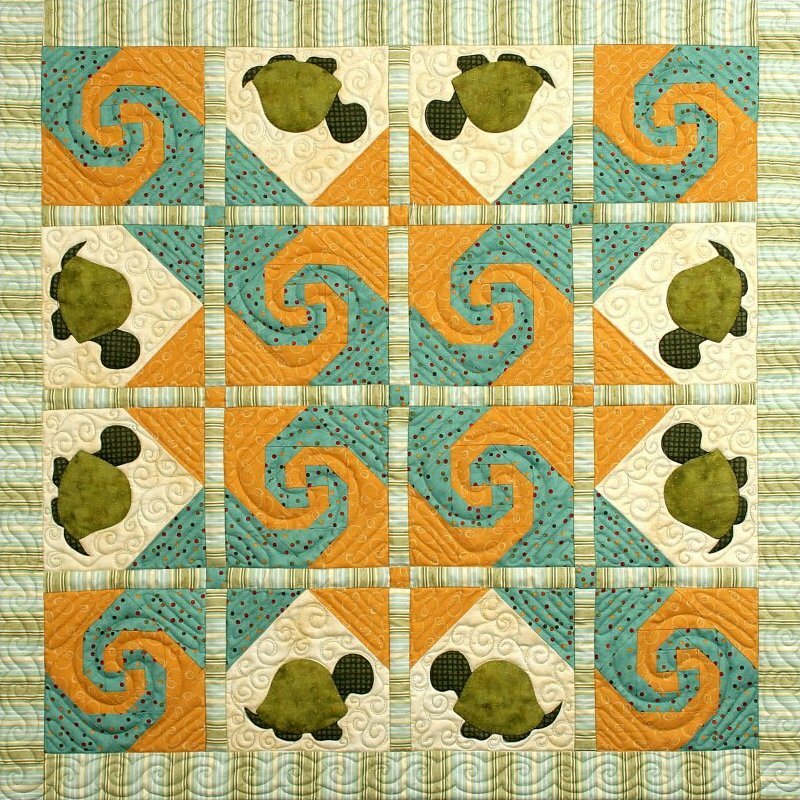 A little baby boy or girl would love to snuggle up with these delightful little turtles. 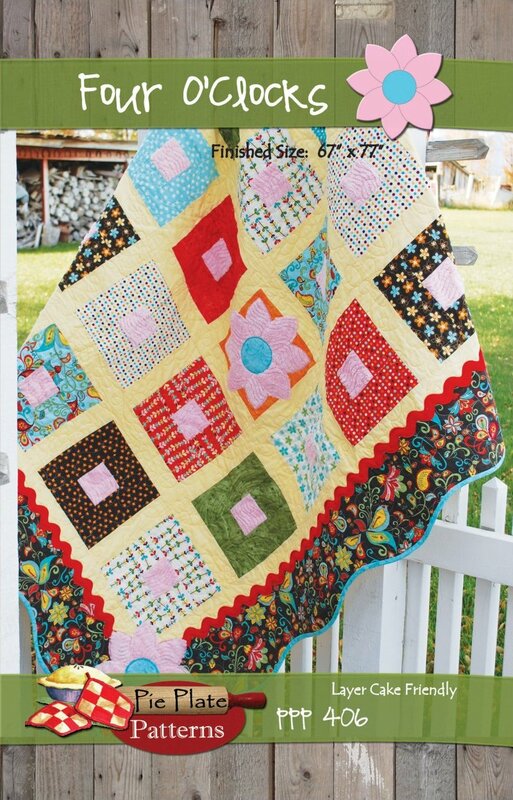 This is one of our most popular Layer Cake friendly quilt patterns. 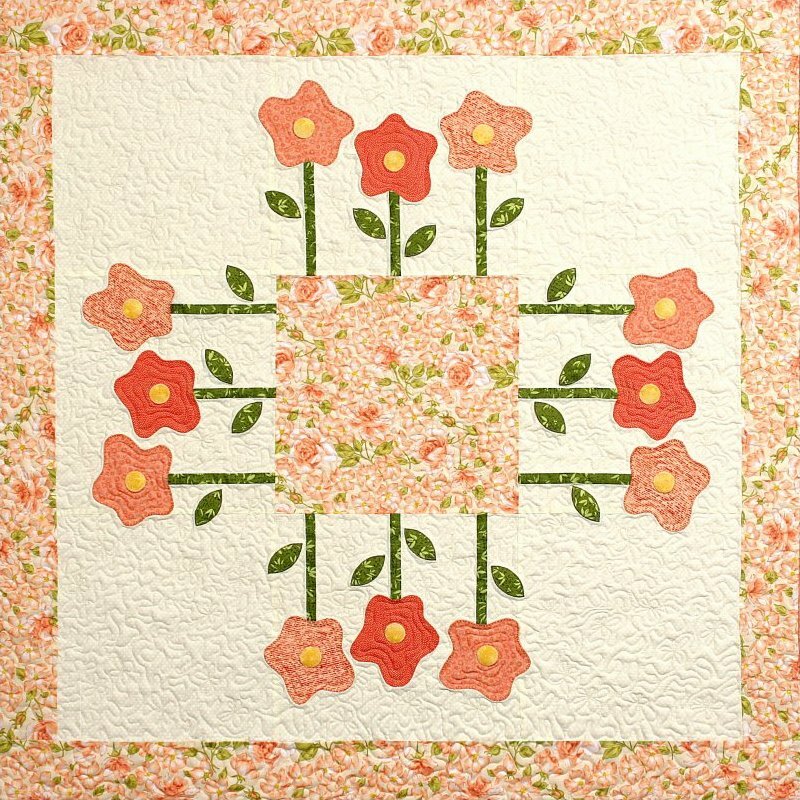 People seem to fall in love with the flowers and the ribbon border.